Do you use Twitter to market your site and brand? Have you thought about the importance of using Twitter to brand your company? Take a look at your Twitter account and your website. Do they match? Can you tell that it is your brand? It is of vital importance to create your brand with a sense of consistency across the different platforms. Twitter is one of the most important places that you need to put your branding. Mindi Rosser is a branding and social media strategist who specializes in helping brands develop marketing strategies that help their brand succeed. Mindi has spent almost a decade working with some of the top B2B and B2C companies on implementing strategic marketing programs. 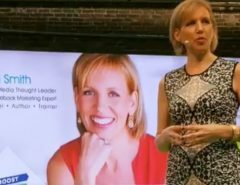 She acts as a consultant for The Conversion company, a well-known online marketing firm helping the B2B companies to use social media to drive business results. She knows how to help businesses brand themselves on social media and do cross-platform content marketing to create more hype for their brand. Mindi’s career and the growing need for social media branding and marketing in helping companies to brand themselves with social media is an indication of the growing popularity of cross-platform branding and social media promotion. Get a great handle.– If you don’t already have one, get a great Twitter handle that will draw more attention to your brand. Your handle should be similar to your brand name and should complement your Twitter account. Make sure it is something that people can easily remember and that will not confuse them on your brand name. Decide how to brand yourself.– Think about what you should include with your Twitter branding that will promote your business in the most positive way. Colors, logos, and other components are all important. Become Known as an Expert– Twitter is a good platform that you can use to share your knowledge about particular topics and offer free information to your followers. Creating free eBooks, videos, and infographics, for example, and offering them for free on Twitter can be a great way to promote yourself as an expert. Create an email signature.– Twitter allows you to create email signatures that help you share your email information with followers. This encourages more email inquiries and may help you build your leads list through Twitter. Integrate with your corporate website.– Always think about your corporate website as your “home base” and work outward from that. Think of anything that you can use to promote your branding on your Twitter platform and focus on integrating your Twitter account with your site. Share blog post links on Twitter.– When you create a new blog post, make sure and share this on your Twitter tweets. To increase the sharing potential, make sure you have it enabled to let your viewers share through your blog as well to get more shares. 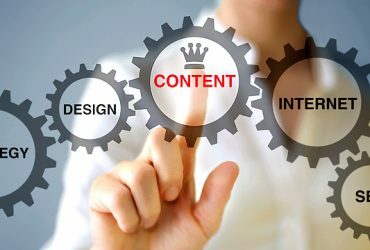 Article writing– Article writing is and will always be one of the key elements that help you promote your brand. Put links in your Twitter feed to your articles on various sites to correlate your social media with your article content. 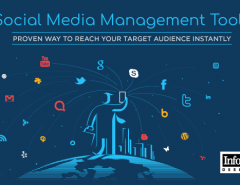 This will increase views and help you promote your brand by cross-promoting your content on multiple platforms. Look at your website. Do you have a Bio on your page that tells people a bit about your background and experience? Even if you are not a blogger or writer, you should share your Bio with your followers on your site. Likewise, you should try to emulate your content with your Bio on your Twitter account. This will bring you more consistency across your branding and make you more recognizable to your target audience. 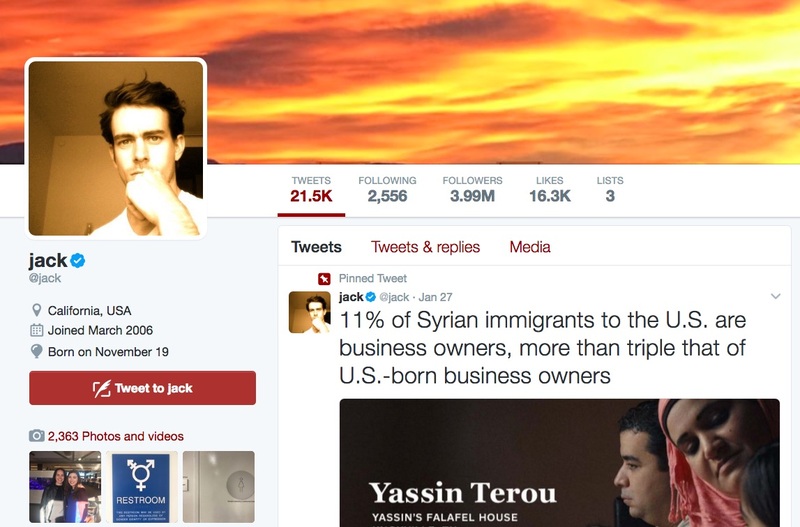 You can see the social profile for Twitter founder, Jack Dorsey, below. Your business card is one of the most important places that your branding should be. You can also use your business card on Twitter. Twitter now allows you to share a business card with your followers on your Twitter account. Make sure and include the key elements of your logo and brand on your Twitter business card. Did you know that you can also include videos on your Twitter account? This is one way that you can match your branding from your website on your Twitter page as well. Look at your web videos and think about how you can use similar video content on Twitter. You can even most the same videos or a shortened version of your website videos. 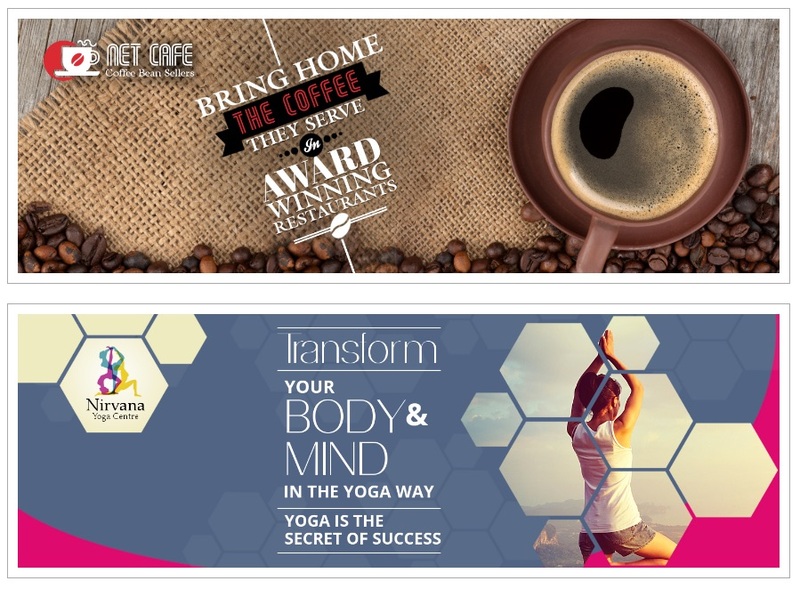 When you correlate your branding elements across various platforms, you will reach people wherever they are. Whether they find you on Twitter, your blog, your website, or your YouTube channel, you should be prepared to show off your brand in a way that will positively affect your company and ideas. Successful online businesses know that the only way to truly maximize your presence on the web is to meet your customers on multiple channels. Creating and maintaining multiple pathways to find your brand and your company is the most efficient way to maximize your ROI and increase traffic and conversions. 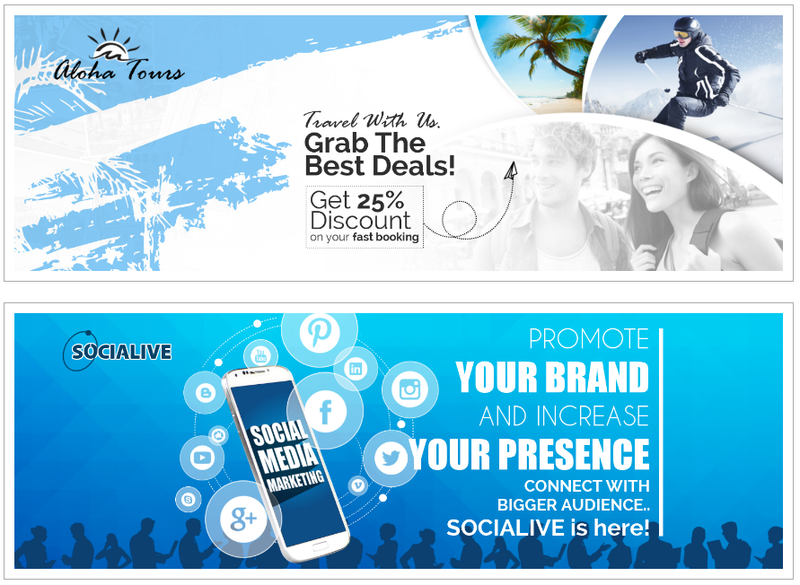 Take a look at out social media cover design services to see how you can have a custom design like the ones below created for your brand. Part of the branding process is in creating a sense of sameness and consistency on the various platforms. One way you can do this is to put media on your websites. This includes Twitter. As we mentioned before, including video is helpful. But what about other forms of media? Have you considered taking a helpful infographic and including this on your Twitter page? Infographics help you capture some of an essential information that you want to share with your target audience. Chances are, you may have at least one infographic on your website. But including it on your Twitter page will add to your branding and increase the value to your customers. Customers appreciate it when you make things easy for them. 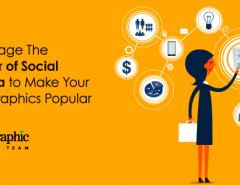 Including valuable information through an infographic may be just the thing you need to increase your standing with your leads and subscribers. Infographics can be designed based on many different ideas or concepts. Timelines, graphics, statistical data, and text-based information can all be used in your infographics to offer something of value to your customers. You can include links to your infographics on your Twitter account. Why not also use Twitter to tweet out announcements about your new infographic that you host on your website. When you are ready to create your infographic for your website, Twitter, or other social media, you will need to learn the specs involved in placing your infographic on social media. There are various specifications for different social media platforms. 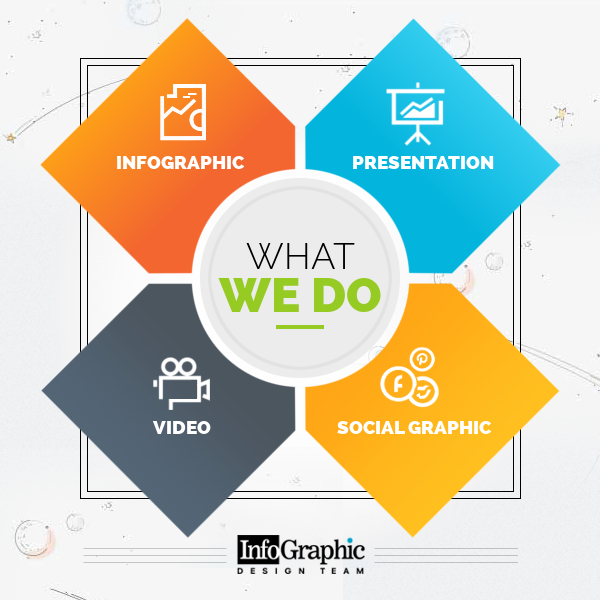 Once you figure out what you want to include on your infographic, give us a call. We can help you design a winning infographic that is sure you get your brand noticed on Twitter, as well as anywhere else you choose to put it. The key to branding is to be consistent across the different platforms, and don’t forget to make your media components mobile-friendly for your mobile customers as well. 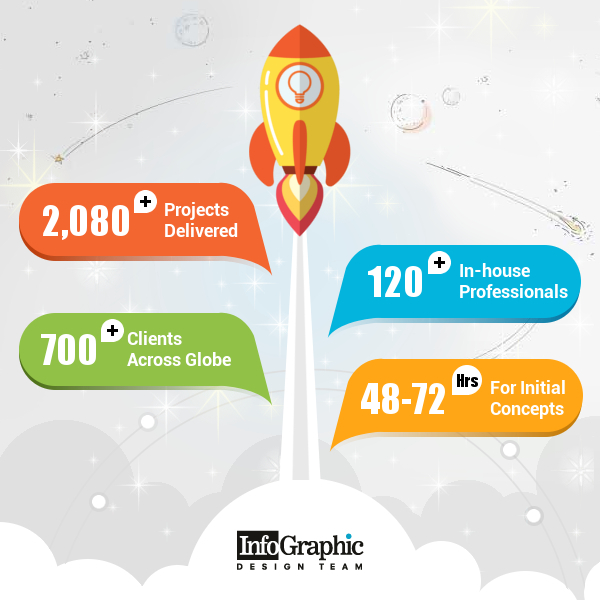 Visit us at infographicdesignteam.com. It’s not only Google-mandated. It’s just good business.